An iconostasis decorated with figures of Christ, the mother of God, and saints in the Russian Orthodox monastery of Valaam in Karelia, northern Russia. 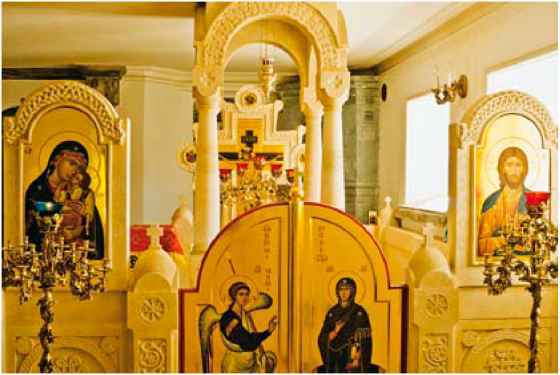 In an Orthodox church the iconostasis is the screen separating the nave from the altar. spread to Bulgaria, Serbia, and Russia. Cyril and Methodius are thus recognized in the Eastern tradition as "apostles of the Slavs." Eastern Christianity became the official state religion of Russia in 988 with the conversion of Prince Vladimir of Kiev (956-1015). Vladimir was a devoted Christian who tried to rule his country in a Christian manner, initiating the ideal of a "holy Russia." 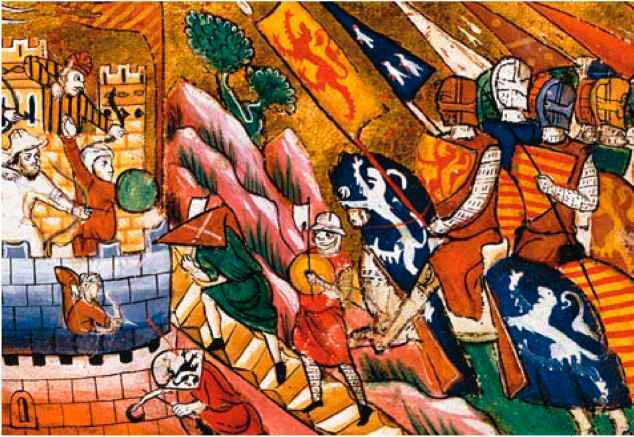 Monasteries and Christian culture thrived under his rule. The tradition of icon painting flourished during that time. One of the most famous religious images of Christendom is the icon of the Holy Trinity by Saint Andrei Rublev (ca. 1360-1430). The domes of Troitse Sergieva (Holy Trinity monastery), which lies northeast of Moscow, was founded by Saint Sergius in 1345. 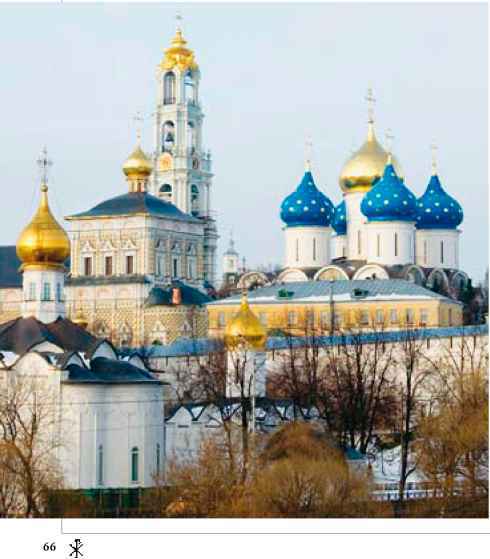 This monastery has been the center of Russian Orthodoxy for hundreds of years and is an important center of theological study and religious education. After the Russian Revolution of 1917 the monastery was closed down; it was returned to the Russian Orthodox Church in 1945.